Cross-posted from www.tomstafford.staff.shef.ac.uk where I irregularly blog things I think will be useful for undergraduate Psychology students. 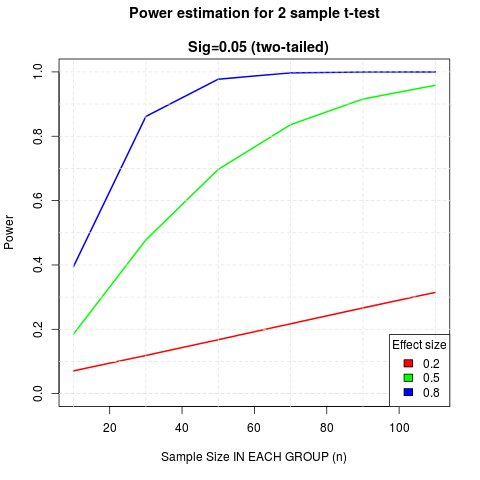 I’ve always liked this graphic from Andrew Gelman on “power = .06”. The scary thing is that, in small studies, if you DO find a result, your point estimate is almost certainly an over-estimate of the actual effect (see the “exaggeration ratio” part of the linked paper on the Gelman post). I was actually gonna post the link to that Simonsohn post, but since you beat me to it, this just became an excuse to say thanks again for teaching me what the jake leg was.